Any personal information you provide to us including and similar to your name, address, telephone number and e-mail address will not be released, sold, or rented to any entities or individuals outside of Cr7wallpapers.com. By submitting your email to us you agree to receive news updates from Cr7wallpapers.com as well as our newsletter and other related promotional content. 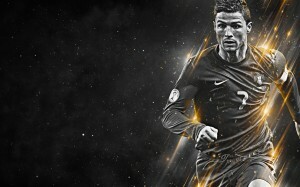 Cr7wallpapers.com will never ask for Credit Card details and request that you do not enter it on any of the forms on Cr7wallpapers.com. While we do our best to protect your personal information, we cannot guarantee the security of any information that you transmit to Cr7wallpapers.com and you are solely responsible for maintaining the secrecy of any passwords or other account information. In addition other Internet sites or services that may be accessible through Cr7wallpapers.com have separate data and privacy practices independent of us, and therefore we disclaim any responsibility or liability for their policies or actions. Please contact those vendors and others directly if you have any questions about their privacy policies. We are committed to conducting our business in accordance with these principles in order to ensure that the confidentiality of personal information is protected and maintained.